It is the Lion Group’s aspiration to contribute to the country’s educational and human resources development. Through the Lion-Parkson Foundation we hope to build a highly qualified group of young Malaysian professionals who will help to shape and build a better tomorrow for our country. The Foundation offers Scholarships 2017 to deserving students to pursue tertiary education. The Scholarships are awarded to Malaysian students to pursue full time undergraduate studies (1st Degree course) and who have gained admission into recognized Public and Private Universities in Malaysia. Open to applicants with a score of minimum 3 As & 1 B in STPM, CGPA 3.50 and above in Matriculation or at Diploma level, or minimum 5 As in UEC, who are active in sports and extra-curricular activities. Applicants must not be bonded or receiving any form of financial aid or award from other educational institutions or organizations. - Open to all Malaysian Citizens who wish to pursue tertiary education. - Applicants must score a minimum of 3 As & 1 B in STPM, CGPA 3.50 and above in Matriculation or at Diploma level, or minimum 5 As in UEC. - Applicants should complete all parts of this form carefully and legibly. - The Scholarship Application Form and all related documents should be submitted online via the Lion Parkson Foundation website on www.lion.com.my by 17 April 2017. - No enquiries will be entertained after the closing date. - Only shortlisted candidates will be notified for interview. - Please submit your application only ONCE. 0 Komentar untuk "Lion Parkson Foundation Scholarship 2017"
BiasiswaKini.com is a blog that summarized all the Malaysia scholarships 2017 | 2018 info from all sources. We are NOT the official scholarships website. We believe to keep the information up to date and correct, but information may change at any time without notice. For complete and latest updated scholarships info, ALWAYS refer to the official website of the scholarship provider. We don't take any responsibilities for anything that happen once you start using information from this blog. Visit Biasiswa's profile on Pinterest. All the articles, images or video on BiasiswaKini.com are property of its own respective owners. We don't hold any copyright about the said content. 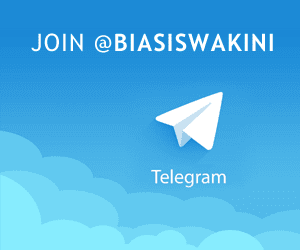 If you believe that one of your articles, photos, videos or others from BiasiswaKini.com contents is violation of copyright law, please email us at biasiswakini [at] gmail.com. Based on your request, we will put a proper credit to the said content OR would immediately remove the said material from our blog upon proof and identification. Thank you.